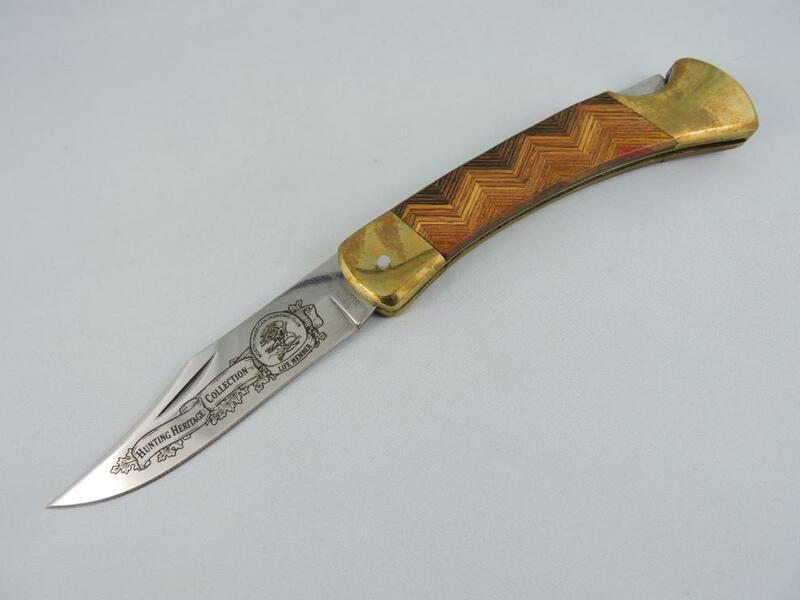 The Hunting Heritage 8 Knife Hunter Collection appears not to be rare, but, likely producted as a Limited Edition Members Collection. It is well presented and the knives are impresssive. Please check out the description. 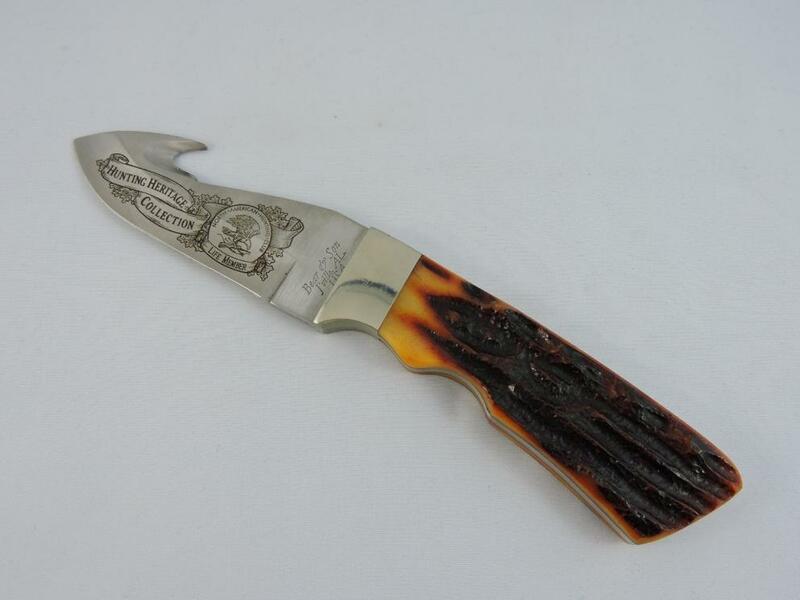 Very Special Knife Collector Edition issued from the North American Hunting Club Organization. 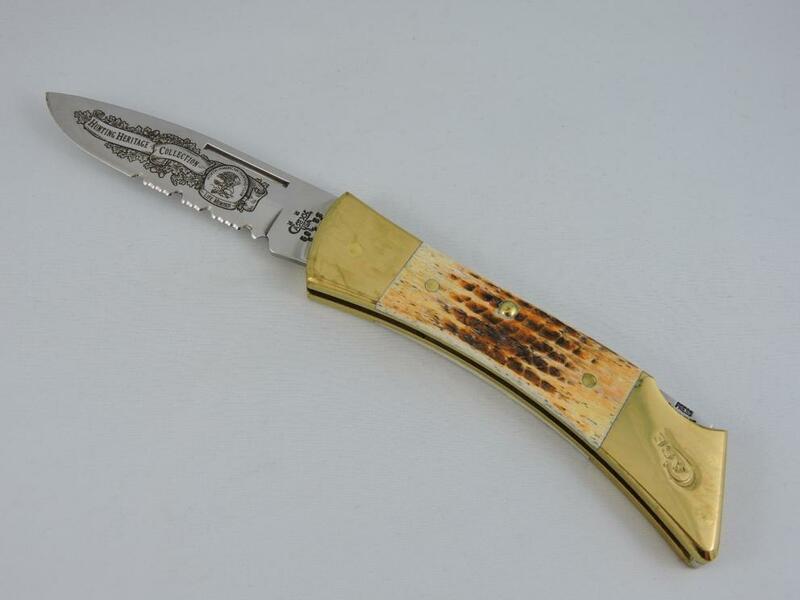 The Hunting Knife set is cased in a wooden presentation box, fitted with the likeness of green velvet. Each knife has its own fitting within the box. Very well presented!! 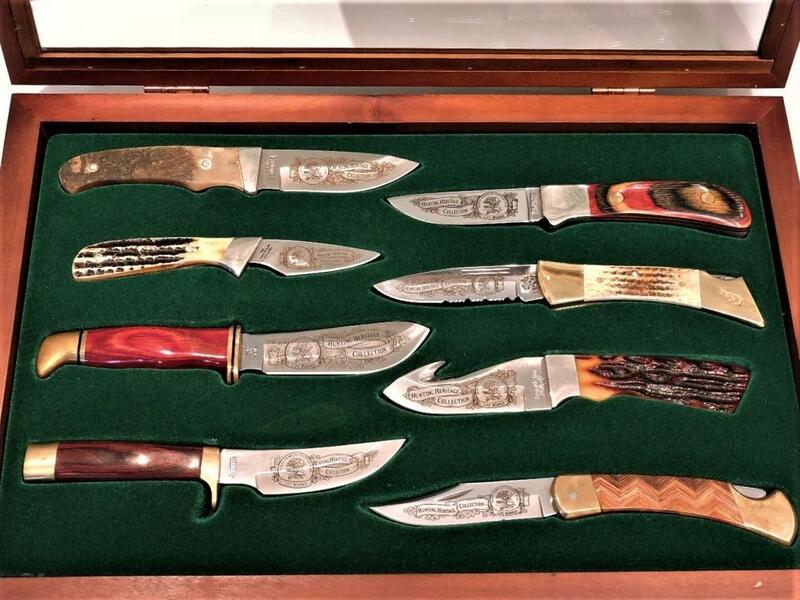 The Eight Knife set was apparently designed and intended only for the Membership of the North American Hunting Club, Members only. 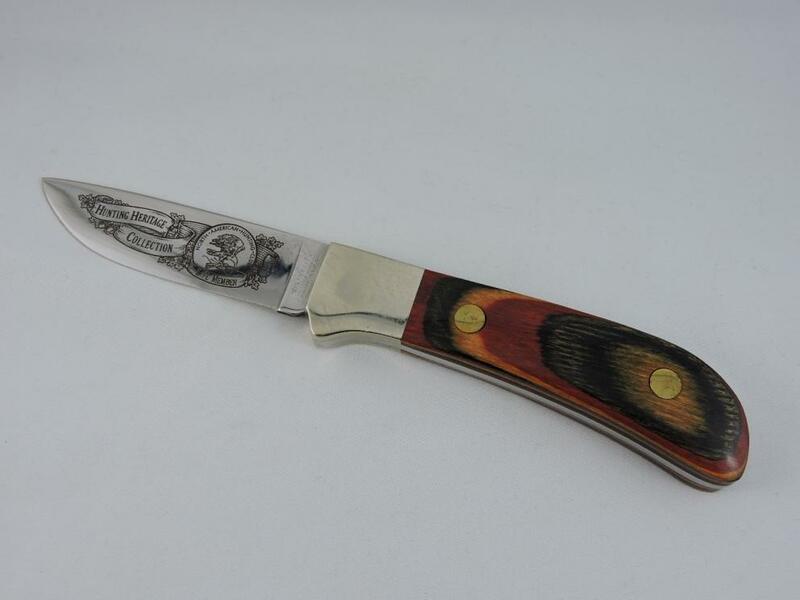 There are two folding knives and six one piece knives in the fitted Wooden Case. These knives have been gently handled for viewing, but, not used. They are of exceptional quality. Top Right Side: Winchester 670-90 USA, CASEXX 59LSS Folding, Bear and Son J'Ville, AL. USA, Santa Fe Stone Works Folding. These are of exceptional Collector Quality! !